Virginia Supportive Housing is now a CORES-certified organization! CORES is rooted in best practices, which is in alignment with VSH’s commitment to serving our residents. VSH utilizes a housing first, person-centered, recovery-based model of supportive services to ensure our residents are receiving wrap-around care that supports their housing stability. The CORES certification reinforces our mission to provide the highest quality services to our residents with emphasis on resident engagement and program evaluation. We are proud to be the first Virginia-based organization to receive CORES certification. Virginia Beach is opening its new Housing Resource Center on Witchduck Rd, and they have partnered with Virginia Supportive Housing in order to provide 30 studio apartments to individuals in need. The Housing Resource Center will bring together the combined efforts of Virginia Supportive Housing, Samaritan House, the Judeo-Christian Outreach Center, Southeastern Virginia Health System, the Department of Housing and Neighborhood Preservation. See the full news brief here. April 18, 2016 (Richmond, Va.)—Virginia Supportive Housing (VSH) received a competitive grant from CSH to study the feasibility of using an innovative funding method, Pay for Success, to serve vulnerable individuals who have histories of homelessness and high levels of need. The Richmond-based non-profit organization is one of four grant recipients nationwide. Pay for Success financing and contracting is a promising model for governments to partner with the private sector to fund evidence-based solutions. It leverages philanthropic and private dollars to fund services up front, and governments or other entities provide reimbursements to the funders after initiatives generate verified results. This strategy has gained strong bi-partisan support in Congress for its ability to increase return on taxpayer dollars while improving the quality of services provided in communities. “Virginia Supportive Housing has proven that providing affordable housing and supportive services to individuals who experience chronic homelessness is more cost-effective than having them consume a wide array of public services while they are experiencing homelessness,” said Allison Bogdanovic, executive director of Virginia Supportive Housing. In fact, one individual experiencing homelessness can cost a community $40,000 a year or more by consuming public services that are not delivered in a coordinated manner, whereas supportive housing costs about $15,000. VSH’s delivery of supportive housing is proven to be very effective: 95% of those it serves do not return to homelessness. “Pay for Success can boost our efforts to scale these evidence-based practices through collaborations between public, private and nonprofit sectors,” added Bogdanovic. “The financial and technical support from the grant will help develop a more outcomes-focused model to pay for the services that we provide in the Richmond area while saving public dollars,” she added. In Richmond, a small group of individuals plays a significant role in the escalating costs for correctional services and other emergency systems. These frequent users have complex needs and ricochet between incarceration, hospitalization, detoxification services and homelessness. VSH is currently serving individuals who are being released from the Richmond Justice Center, helping them to secure housing and providing supportive services in an effort to reduce recidivism. The grant will help to explore an expansion of serving a targeted population of individuals who have had contact with jails and hospitals more than four times over five years with at least one stay in a jail or hospital in the last year. VSH and its partners will have up to 18 months to develop and determine the feasibility of a Pay for Success model that would enable it to scale and fund services that help to reduce recidivism and hospital usage, thus reducing public costs. VSH already has proven cost-savings to health systems in the Richmond area, especially among individuals experiencing homelessness who were “frequent utilizers” of emergency rooms and inpatient hospital services before VSH housed and provided service to them. Data from 2013 of “frequent utilizers” served by VSH and VCU Health for 12 months while homeless followed by 12 months in supportive housing shows that emergency room visits decreased by 75 percent, and inpatient visits decreased by 52 percent. Collaborative partners examining the feasibility of Pay for Success with VSH include Homeward, the Richmond Justice Center, Richmond FUSE Initiative, Greater Richmond Continuum of Care, the Virginia Department of Corrections, the Virginia Pay for Success Lab of the University of Virginia’s Frank Batten School of Leadership and Public Policy, VCU Health and Bon Secours Richmond Health System. The competitive grant, valued at $100,000 in services and resources, includes technical expertise from the Center for Health Care Strategies, which will provide expertise in Medicaid and other public financing sources for serving vulnerable populations, and Third Sector Capital Partners, which will offer guidance on building financial modeling capacity and designing and structuring procurement processes. A portion of the funding awarded by CSH is from the Corporation for National and Community Service’s Social Innovation Fund. VSH is Virginia’s first and leading supportive housing agency, serving more than 1,500 individuals annually in Richmond, Hampton Roads and Charlottesville. 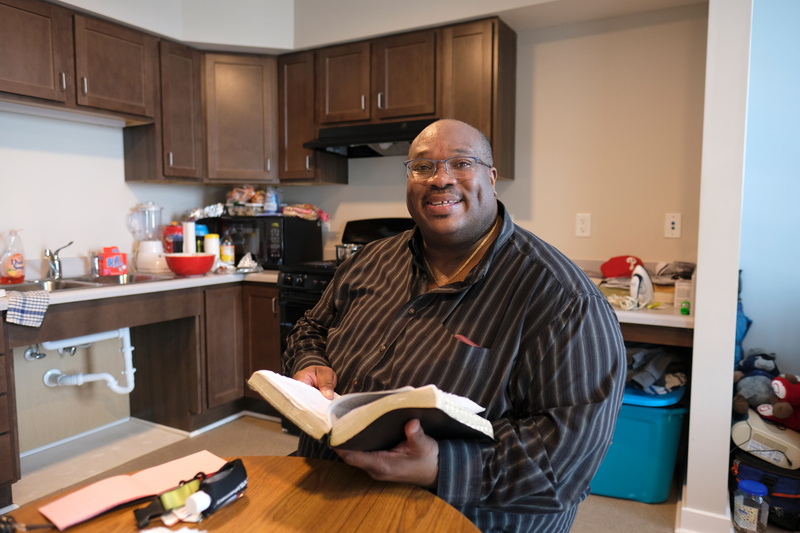 Founded in 1988 and headquartered in Richmond, the agency developed and manages 543 units of supportive housing in 16 multi-family properties. VSH also partners with other landlords and provides mobile case management to residents living in those apartments. The non-profit organization administers the largest Supportive Services for Veteran Families program in Virginia, playing a key role in preventing and ending veteran homelessness. With its strong record of success – 95% of clients not returning to homelessness – VSH has helped communities save millions of dollars in medical services, shelters and feeding programs, judicial services and other public resources. March 3, 2016 (Virginia Beach, Va.)—The South Hampton Roads region expanded its capacity to house and serve vulnerable individuals with the opening of Crescent Square in Virginia Beach on March 8, 2016. The 80-unit property will house 42 individuals who experienced homelessness and 38 whose incomes are 50% or less than the Area Median Income, or $25,000 per year. Norfolk Vice Mayor Angelia Williams is scheduled for March 8 at 11 a.m.